Center for Family Therapy has been a leading provider of mental health treatment in Cape Cod since 1990 with some of the most experienced therapists in the area. We provide a relaxed atmosphere with caring, insightful and effective therapists. We offer a range of therapy including individual, couples, family and groups, where problems and symptoms are identified, addressed and improved. 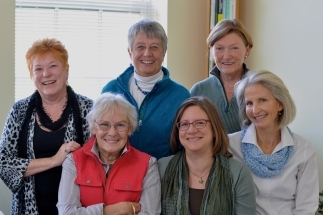 Center for Family Therapy was established by two therapists, Kathy Smith-Brown and Jeanne Swan. Out of the collaboration of these two women, Center for Family Therapy has grown to include seven partners with a variety of experience in the mental health field. There is over 100 years of combined clinical experience among all of the partners. Our experienced therapists at The Center for Family Therapy treat a full spectrum of mental health issues and diagnoses. Some of our specializations include: Cognitive Behavioral Therapy (CBT), Eye Movement Desensitization and Reprocessing (EMDR). We welcome the opportunity to help you or a family member. The Center for Family Therapy is centrally located in Mashpee Commons, for both upper and lower Cape Cod residences. Teens, like all of us, have specific developmental tasks that they are working on. Primarily these have to do with separating from the family, establishing an identity and developing mastery over the world around them. This may look like eye rolls or sound like "you just don't get what it's like now!" Your chatty seven year old may no longer be interested in telling you about his day. Your trusting little girl may not be asking for help figuring things out anymore. They need to do this. They need to separate from the family and establish who they are out in the rest of the world. They need to try on different ways of being just like they are trying on different types of clothes, makeup, hair. They need to figure things out on their own so they can feel mastery over their lives and their ability to survive without you. The hardest thing for parents to do is to understand and respect all of this while continuing to be lovingly, patiently, present for their kids. It's still important to set limits for example. But you may not be able to get away with "because I say so" anymore. Instead you may need to be very clear about the rationale behind those limits. This can also be an opportunity for parents to reexamine and articulate their values to and with their children. And always keep these wise words by the neuroscientist Jay Geidd in mind: " The more technical and more advanced the science becomes, often the more it leads us back to the same very basic tenets of spending loving, quality time with our children.